In 2009, Chris Beckett’s first short story collection The Turing Test won the prestigious Edge Hill Prize, becoming the first, and to date the only, genre collection ever to manage this. In doing so, the book triumphed over a very strong shortlist, including collections by one Booker Prize winner in Anne Enright and two authors who have been Booker shortlisted in Shena Mackay and Ali Smith (the latter a winner of the Whitbread Prize). In 2012 the Sunday Times named Chris’ novel Dark Eden the best science fiction novel of the year, and it was subsequently won the Arthur C Clarke Award for 'Best Novel'. 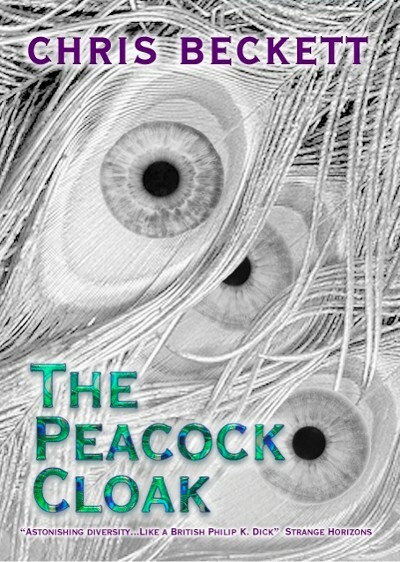 NewCon Press are delighted to be publishing The Peacock Cloak, the latest collection from one of Britain’s most distinguished and accomplished genre authors. The Peacock Cloak is available as an A5 paperback plus a special hardback edition: each copy numbered and signed by the author, limited to just 150 copies.